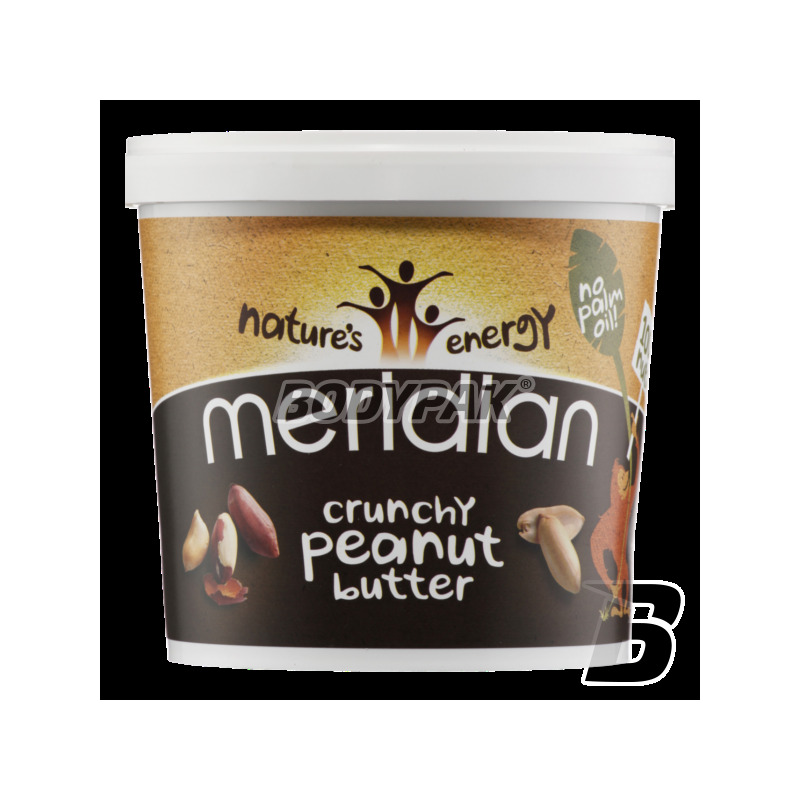 Excellent taste and smooth texture of 100% peanut butter. Perfectly mixes with sweet and savory dishes. It does not contain any unnecessary additives such as sugar, salt or palm oil. Highest quality at a good price! Excellent peanut butter with a crisp texture! It is produced from natural nuts without added sugar and salt! Interesting flavor combines well with both sweet and savory toppings. A high content of protein per serving! Excellent peanut butter with a smooth consistency! It is produced from natural nuts without added sugar and salt! Interesting flavor combines well with both sweet and savory toppings. A high content of protein per serving! 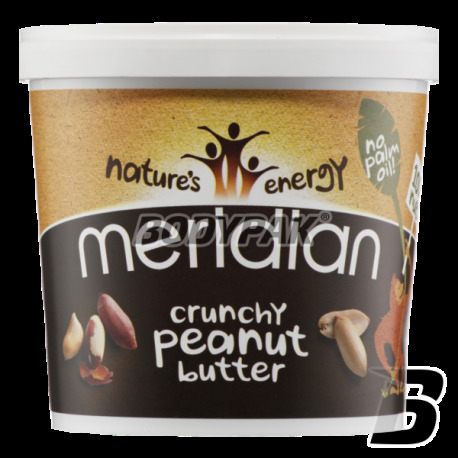 Meridian Natural Crunchy Peanut Butter is a natural peanut butter with bits of nuts, roasted in their natural brown crust - no added sugar, preservatives or other fillers. Butter is a certified organic food. During the cultivation, harvesting, logistics and manufacturing adhered to strict rules environmentally friendly. Peanuts are rich in protein (25% of calories from protein). They have a low glycemic index - 1 tablespoon of peanut butter has 1 point IG compared to 1 tbsp honey, which has as many as 16 points IG. IG index is a measure of how many carbohydrates in food, and how quickly the energy of which is released by etching. Peanuts are a rich source of important minerals, including magnesium, which is beneficial for heart health and bone; zinc for the production of hormones, digestive health and immune iodine and selenium and manganese thyroid function, which is important in the production of GABA - the processes of the brain chemical that reduces the desire. Peanuts also contain beneficial amino acids: tryptophan, which the body arms into serotonin, arginine, which dilates blood vessels. Peanuts contain good levels of B vitamins, particularly folic acid - it is important for the health of your cardiovascular system.